Millions of people around the world choose to plant their own herbs and vegetables in order to get the great benefits that are associated with gardening. When you grow your own produce and herbs you not only save money, but you also eat healthier. Vegetables and herbs that are grown in your home have a higher nutritional value than those that can be purchased at the store because they can be harvested at peak ripeness and have not been sprayed with pesticides and other dangerous chemicals. Spraying plants with these chemicals can be dangerous, especially if the vegetation is not thoroughly cleaned before it is eaten. Because of this, many people choose not to use these chemicals in their gardens. Since no pesticides and chemicals are used, it is important to find a way to keep your herb garden pest free in other ways. Herbs are actually some of the most resilient and insect resistant plants that can be grown but you will still have to take some steps to keep insects and other pests away. One of the first things that you will want to think about is where you are going to plant your herbs. If you are planning on an outdoor garden, you will have to do much more to protect your vegetables from being destroyed. One of the first things that you will want to do to protect an outdoor herb garden is put some type of fence around it. A fence will keep out small critters that will eat the herbs and vegetables. Next you will want to look into ultrasonic devices that deter pests. These machines keep pests away by sending out sound frequencies that cannot be heard by humans. Another thing that you may want to consider is companion planting. There are many herbs that insects do not like and will stay away from. Marigolds and basil give off a fragrance that can act as a bug repellant. This can be a great way to naturally keep insects away from your herb garden. One easy way to keep your herb garden pest free is to grow them indoors. 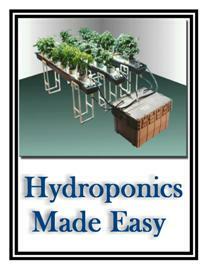 Hydroponic herb gardening can actually save you a lot of space and can be a much easier way to grow herbs and other plants. Hydroponic gardening is a method of gardening that does not use soil, so there is nowhere for pests to live and reproduce. Regardless of which method you use to keep your herb garden free of pests, you will be able to enjoy fresh herbs without the chemicals that are used on commercially produced plants.